This is nice to see. 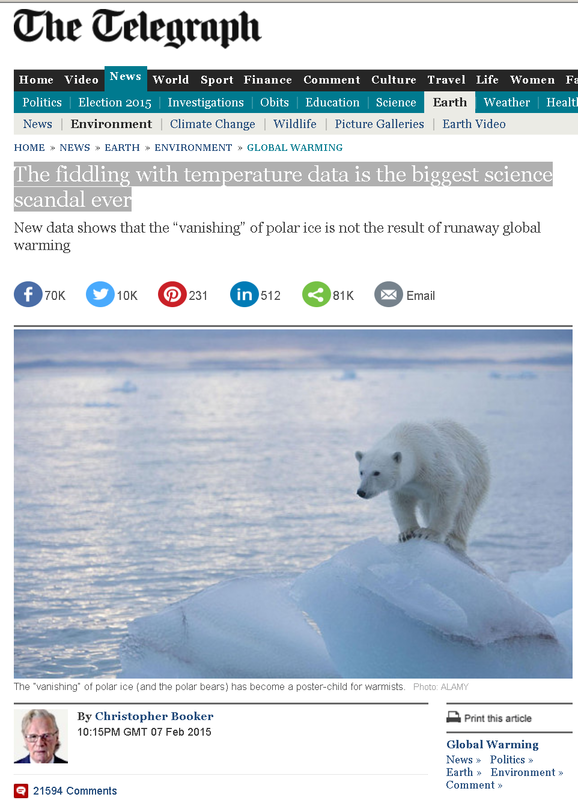 21594 comments about the Warming lie and the Sea Ice lie. I wish I had wrote it!! Actually I promoted both these stories in the last few months. BECAUSE the Nuke Cartel is using warming and CO2 as lies to fleece the ratepayers for twice the money, and try to kill solar and wind. This is from the Telegraph, a major news outlet of Britain, et al. You can drop a comment there! Ya, stock back here eh! The warmistas have been lying for almost 2 decades, and because I didn't even take the red pill until 2004, I missed the first decade of their lies....in fact as and engineer and energy guy...I internalized their lies. How sad is that? but one big problem with this article. By their omission of real data, they imply that the "vanishing" of polar ice is an actual issue. They are slapping the warming lie, but allowing the de-icing lie. Not allowed...I am the Shepherd of Ice. 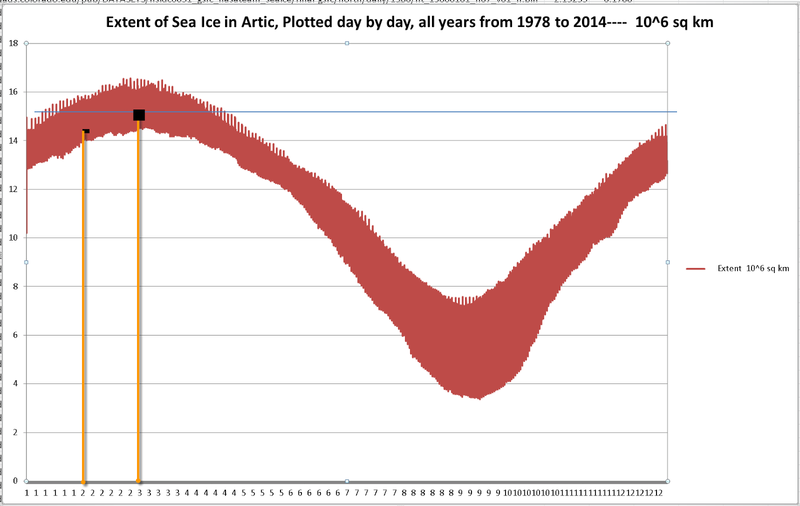 And here, Arctic sea ice making a strong comeback in 2015, almost to "regular levels"